Trip Summary makes creating an itinerary easier than ever before. Agents can import travel reservations from ClientBase, submit travel itinerary email confirmations to be added automatically, import travel reservations from RezSaver. It can also be added to Vecto Technology's travel searching and booking engine, or add components manually. To add a component, select that component type and populate the details. 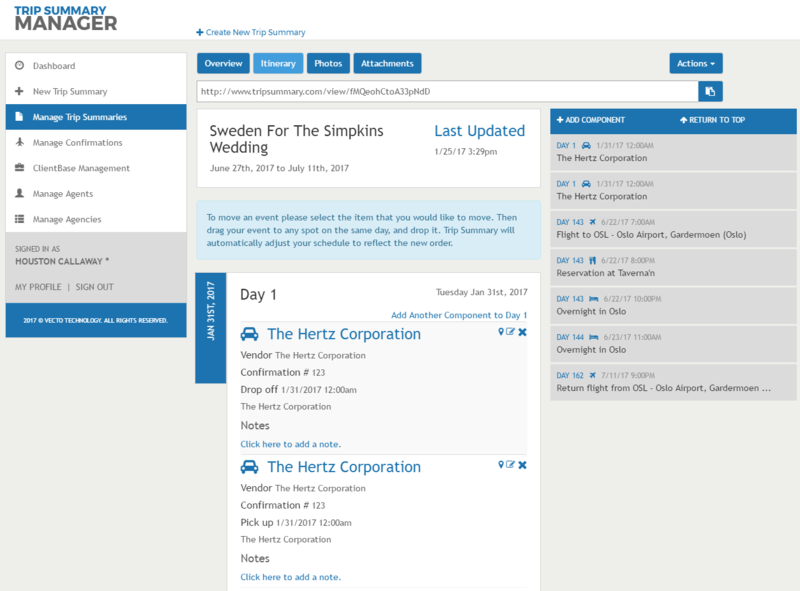 Trip Summary automatically places travel itinerary items in chronological order, but the order can be customized by a drag and drop.